The Writing ProcessExplore the steps necessary to write essays. Explore the steps needed to create effective essays. Learn about rhetorical concepts, such as voice, audience, and purpose. Improve your revision and editing strategies. ResearchFind, evaluate, and integrate sources. Learn how to find, evaluate, and integrate sources for a research paper. Narrow your argument and write effectively for your audience. Learn effective research strategies to find and evaluate sources. Take notes and create an outline. Integrate sources into your writing. Produce a literature review or an annotated bibliography. Citation & DocumentationCite & document sources for research papers. Learn how to cite and document sources for research papers. Avoid plagiarism when citing and documenting. Cite and document sources according to APA, MLA, or Chicago guidelines. Rhetorical StylesUnderstand different essay structures assigned in college. Understand the different essay structures common to college writing assignments. Find support for argumentative, classification and division, cause and effect, compare and contrast, definition, descriptive, illustration, narration, and process essays. Engage in interactive outlines for each style of essay. See sample essays from writing classes and from across the disciplines. Argument & Critical ThinkingLearn how to think critically about argumentative writing. Learn how to think critically about argumentative writing. Learn how to adjust your argument to be most persuasive to your audience. See different organizational strategies for argumentative essays. Understand the logical fallacies and how you can avoid them. Practice with both argumentative analysis and writing. Apply argumentative strategies to multimodal assignments. Online Writing & PresentationsWrite for the web and create digital presentations. Write for the web and create digital presentations. Learn about making strong discussion posts in online classes. See differences between effective and ineffective emails. Understand writing practices for common social media platforms. Create stronger presentations using PowerPoint and Prezi. Become aware of your online footprint. Grammar EssentialsPractice grammar skills to help you write clearly. Practice your grammar and punctuation skills to help you write clearly. Understand parts of speech and how they work together. Learn the “rules” for all types of punctuation. Practice your skills with interactive quizzes. Review the 20 most common errors college writers make. Avoiding PlagiarismLearn to avoid plagiarism when you write with sources. Understand what different kinds of plagiarism are. Learn about the potential consequences of plagiarism. Practice avoiding plagiarism and providing proper documentation for borrowed information. Take pre and post tests to test your knowledge. ESL Writing Online WorkshopLearn about the writing process from an ELL perspective. Learn about the writing process from an English Language Learner (ELL) perspective. Understand how to start an assignment and gather ideas. Develop thesis statements to guide your writing. Organize your ideas and present them logically. Improve your writing through drafting and revising. Writing in the DisciplinesPractice writing for specific disciplines and careers. Learn how to write real-world genres for different disciplines and careers. View instructional videos on real-world writing genres. Complete activities to practice what you learned. Download tip sheets and examples. Start writing in the disciplines. The Writing RefresherPractice your writing skills. Complete modules to practice your writing skills. Take modules to practice writing skills like grammar and APA citation. Download a summary report for proof of completion. Paper Capers! GameTest your writing skills with the OWL's writing game. Play as the owner of your own company who must keep writers on task. Practice with the writing process by making sure writers follow a good process. Support your writers and help them with thesis statements, grammar, and more. Earn cash when your writers do well to grow your company. Compete with classmates or play as a team as you build your writer’s vocabulary. New Online Reading LabVisit our new Online Reading Comprehension Lab! Educator ResourcesFind all sorts of goodies for educators at all levels. 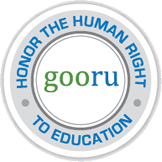 Find all sorts of goodies for educators at all levels. Build your own custom OWL with the Owlet tool. Learn how to use the Excelsior OWL in writing classes and in classes across the curriculum. 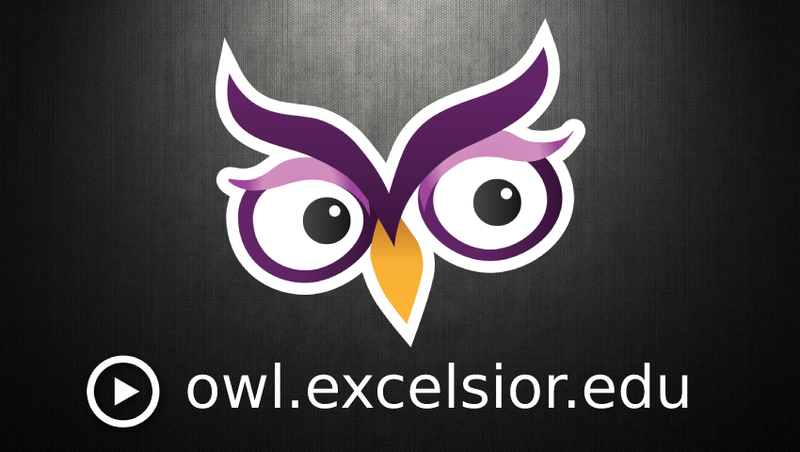 Discover about how to integrate the Excelsior OWL into traditional, hybrid, flipped, and online classes. Find our more information about how the Excelsior OWL connects to the Written Communication VALUE Rubric. Welcome to the Excelsior Online Writing Lab (OWL). Watch this video to learn more about the OWL. Learn about what's new on our site. Christie Allred, Professor at San Diego Mesa College, wrote an article about using the Excelsior OWL in her OER composition classes. Check it out!